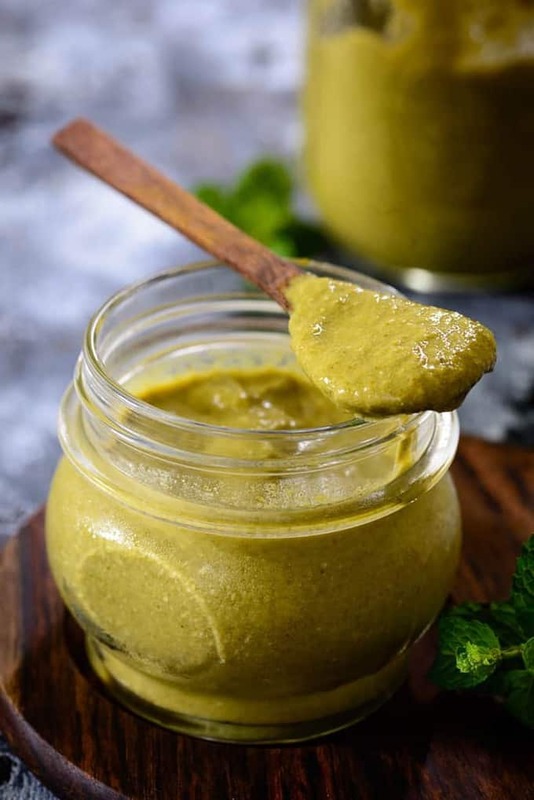 Dahi Mint Chutney or Pudina Chutney is a flavored, thick, creamy dip that goes wonderfully with tandoori dishes. It is a common accompaniment with appetizers and snacks in most Indian restaurants. When served with vegetarian and non-vegetarian snacks and appetizers, it helps balance the acidity and spice. This fresh dip made with mint, is also great for health. Yoghurt and mint make a great combination that soothes the stomach and helps in better digestion. 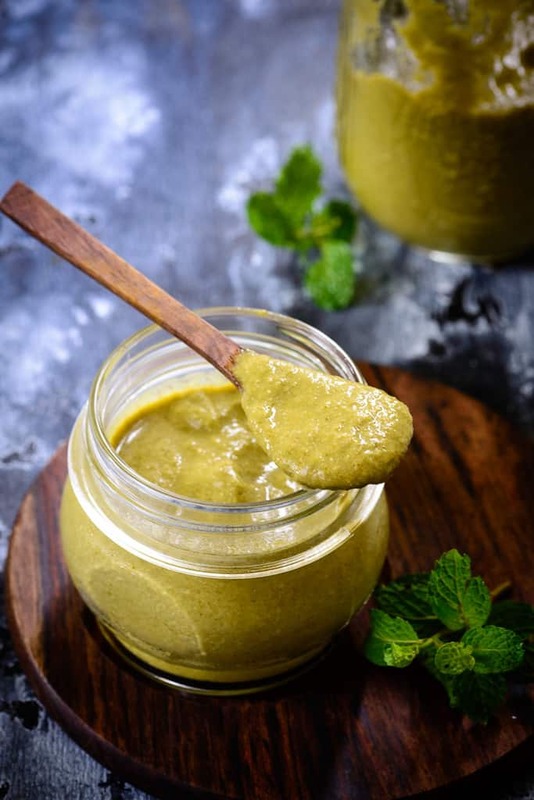 This tangy pudina chutney made with just four ingredients can be prepared anytime, because of the easy availability of the ingredients. It can also be a base for curries and gravies. Although mint is a cooling substance, by combining it with yoghurt, its effect increases two-fold. Raw Mango and Coriander Chutney and South Indian style Coconut Chutney are the other two chutneys very similar in their preparation. And if you like sweet chutneys, then this Aam ki Launji and Tomato Chutney are your go to recipes. So here is how to make Dahi ki Chutney just like the one you get in your favourite restaurants. Add mint, coriander, green chile and ginger in the jar of a food processor. Add very little water and grind to make smooth paste. Add more water if the chutney is too thick. Serve with any snacks or appetisers.